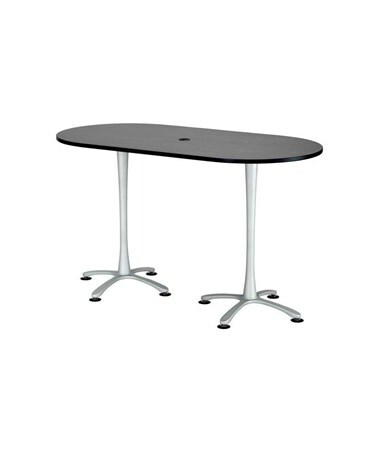 The Safco Cha-Cha Bistro-Height Racetrack Conference Table is perfect for home and office use. 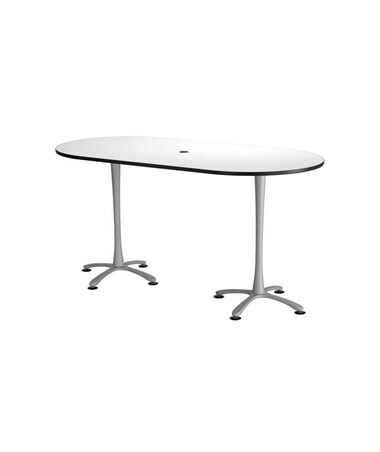 It has a height of 42 inches that makes it suitable for meetings, conferences, and other gatherings. All tabletops have 1-inch, high-pressure laminate with 3mm vinyl t-molded edging. 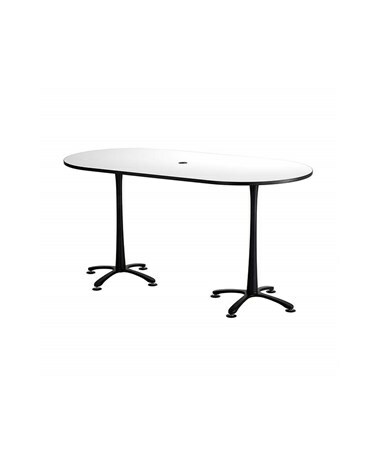 It has two x-style leg base that keeps the table's balance in any sizes. It also includes leg levelers for uneven surfaces for a better experience. An optional center grommet is included and pull-up power module with USB charging ports for accessibility. 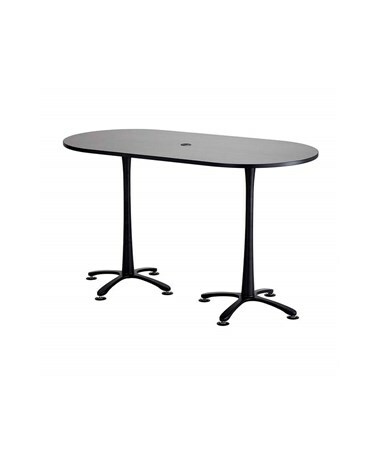 Made using a laminated top and a steel base with a powder coat finish for added durability. This table meets the standard of ANSI/BIFMA and certified by Greenguard for indoor use safety. 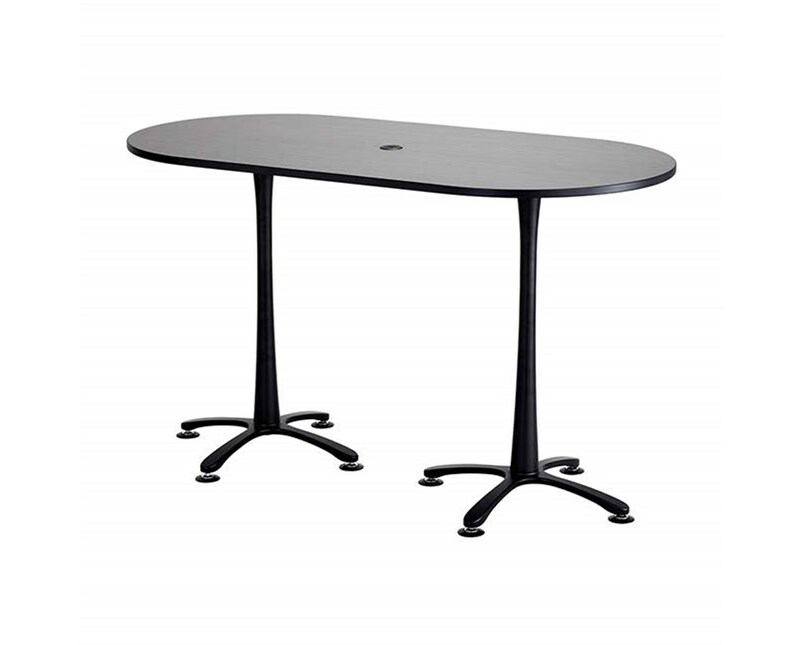 The Safco Cha-Cha Bistro-Height Racetrack Conference Table comes in 4 tabletop sizes and 4 colors. Choose your preference in the drop-down section above.